I was compensated with these bracelets in return for my honest review. Thanking everyone who helped us on our wedding day was so important to me! I loved being able to thank my bridesmaids & my father. Today I am going to show you the bracelets that we gave our mothers and our program attendants. Thanks to LA Osborn & Pure Impressions for making the best bracelets for the special people in our wedding! LA Osborn has such an amazing Etsy shop. You have to go check it out right now (I mean when you are done reading this post.) I love all the dainty jewelry she has in her shop! Her Initial bracelet was perfect to thank our program attendants. LA Osborn was able to put their initials on each bracelet. Everything she has in her shop is amazing! You have to go check it out! LA Osborn has bracelets, necklaces, rings and more! All for great prices! If you check out her shop, you might just fall in love with everything! @theknightplace is talking about the shop LA Osborn today on the blog. Pure Impressions has so many different pieces to get customized! You have to check out her shop too! They are both different and amazing! I know that our mom’s absolutely loved these rings! I know it is something that they can cherish forever. @theknightsplace has another great Etsy shop on the blog! Check out Pure Impressions. It is so hard to believe that we have been married for over five months! Time flies by! I just want to give huge thanks to all the shops and people who made my wedding day so special and amazing. I was so lucky to have the best bridesmaids ever! I choose to only have family in my wedding party and looking back I am so glad that I did. It made everything for me so much easier! But, before we get into this, make sure you check out all the other post about our wedding! Having helpful bridesmaids is the key to having a perfect wedding! So meet my bridesmaids! Kelly, Kristen & Kristy. Kelly and Kristen are my older sisters, they both helped out so much and made my vision come true for my wedding! Kristy is Justin’s sister (my new sister-in-law.) She lives in Tennessee, so she couldn’t be here a lot, but she helped out so much! Kelly kept me going, she would set deadlines for me and, make sure that they get done! First, let them know what to expect. Are you wanting your bridesmaids to get together multiple times or just a couple? Will they be planning the bachelorette party or the bridal shower? What will they have to pay for? How much will their dresses be? There are so many answers you should give them when you first ask them to be in your wedding. Check out how I asked my bridesmaids to be in my wedding – here. I knew I wanted all my bridesmaids to wear different dresses. So, I let them pick out their dresses. The only thing I knew I wanted was lace & either dark purple or navy. It was is easy on all of us. They were able to watch prices while looking at dresses! They actually found their dresses at JCrew. They ordered them online during their own time and it was the easiest thing! They found one collection that had six or seven different dresses, so they were all able to pick the exact one they wanted. Looking at their dresses, I don’t think that it could have gone any better! Another way to keep your bridesmaids happy are gifts! Who doesn’t love gifts? I got the cutest bags monogrammed from Posh Princess Bowtique. I was able to put them together a goodie bag to thank all of them! I couldn’t have gotten so much more from Posh Princess Bowtique. You guys have to check out her shop! They have the cutest things ever! In the bag, I gave them the sweatshirts we wore on my wedding day. (Check them out here.) I also put a coffee mug & wine! You can never go wrong with wine! Check out Posh Princess Bowtique on Facebook & Instagram! Remember, it’s your wedding! You will tell so many people that during the planning process, but sometimes I think you need to tell yourself that! You can’t make your bridesmaids put in all the time. If you are expecting them to put in massive amounts of time, fights are bound to happen! Luckily for me, my bridesmaids were family so they were able to put in massive amounts of time! I can never be thankful enough for all they did! How did you make your bridesmaids happy? Welcome to Wedding Talk Tuesday! Did you miss last week’s post? Well, check it out here. I talked about the best rustic couple shower that you have ever seen! Now, I am talking about the best Father of the Bride Gift! I was given this product for review, all opinions are my own. If you know me at all you know that I am a daddy’s girl! I am so blessed to have such a good relationship with my Dad! He is always there for me and always supporting me! I knew that I had to get my dad a good gift for my wedding. He has a running joke that he is getting a raise since I am getting married! Of course, that is after the wedding when I am paying for my car insurance, health insurance and everything in between! @theknightsplace is showing off the best gift for the father of the bride! I was so excited to find a wonderful shop that would help me create such a fun gift to give to my father! You have to check out Sweet Melodee, she did an amazing job! Sweet Melodee specializes in custom hand stamped findings! You all know that stamped metal is the in thing right now, so why not give it as a gift? I gave this gift to my dad at my wedding shower! It was nice to take time and thank him for everything he as done in my life. I felt like it was a better idea to give it on the day of our wedding shower and not the day of the wedding. Looking back, I am so glad that I gave it to him then. The day of the wedding goes by so fast, I feel as if I would have forgotten to give it to him! Yes, my parents helped in the financial part of my wedding, & I could never thank them enough for helping us. Not only did they give so much of their time, but their financial aid was a huge stress reliever. I know this isn’t a huge gift, but I know my father loved the gift! It was just a small way for me to say thank you to him! Now, on to Sweet Melodee, you guys have to go check her shop out! She honestly has some amazing things! Personalized gifts are in right now, and this is the perfect gift to give! Between money clips, guitar picks, fishing lures, and hand stamped key chains, you can find the perfect gift for anyone! (Maybe that’s why this is the best father’s gift). Make sure you go check her out on Facebook. Welcome to Wedding Talk Tuesday! I am so excited to finally be able to share my couple wedding shower with you all! It was amazing! My family did an amazing job throwing Justin & I the best couple wedding shower! Come see why @theknightsplace had a couple shower, and why they are becoming so popular! Why We Had A Couple Wedding Shower? My Answer? Why not? It was so much fun being able to have Justin be apart of all of the festivities! We were able to have all Justin’s friends there and all our groomsmen! Not only were we able to have Justin’s guy friends at the shower, we were able to have my Uncle’s and all my cousins! It was more of a gathering than a shower! It was so nice being able to have everyone there! Justin’s mom did throw me a traditional wedding shower, so lucky for me I was able to have the best of both worlds! Assembly Line- What does that mean? Have an area where people walk in & you greet them right away. Greet them, thank them for taking time out of their day to come to your shower & then open your gift from them. It is a great way to make it personal. You can open everyone’s gift in front of them. ( Everyone know’s that is the most boring part of any wedding shower- watching them open gifts.) Well, with this way the only people who have to watch you open a gift are the people who gave you the gift! Also, I highly dislike becing the center of attetion, so this made it way less stressful for me! Open House- Making your couples shower an open house is such a good idea! For our shower, we had a starting time and that was it. That it made is super easy! People started coming around 4 pm and I don’t think some left til midnight! I tell you it was one amazing party! Having an open house makes it so easy for everyone! They don’t have to spend their whole day there. If some guest had things to do that night they could stop by and say hi, and not feel bad about having to leave early. Have plenty of food and drinks- Trust me, no one wants to go to a shower that doesn’t have food and drinks! My family had that covered! Of course, we had a make a beer run (Justin’s friends really know how to drink.) My mom made some amazing food & I know that everyone loved all the food! So, my uncles may not have been too happy that they had to go to a wedding shower, but I know the great food and drinks made up for that! I just linked up with @theknightplace for Wedding Talk Wednesday! I am so excited that you all are able to join me for Wedding Talk Tuesday! Whether you’re planning your dream wedding, you just got married, or have been married for years I urge you to join this link up & share your wedding details! Come Join @theknightsplace for Wedding Talk Tuesday! For the first week I want to give you a little information about my wedding… I am married to Justin (Deputy Sheriff). We got engaged October 7, 2014, & married on October 10, 2015. You can read our whole engagement story here. For my wedding, I knew exactly what I wanted! We had one year to make my dreams come true! My family helped me out so much, it would not have been the same wedding without them! The theam was “pretty rustic” everything turned out exactly as planned! Everyone was such a big help! I had such a wonderful time asking my bridesmaids, & Justin had a really neat way of asking his groomsmen! Here are some topics to come in the near feature for Wedding Talk Tuesday, planning, the reception, decorations, gifts, wedding showers, and so much more! 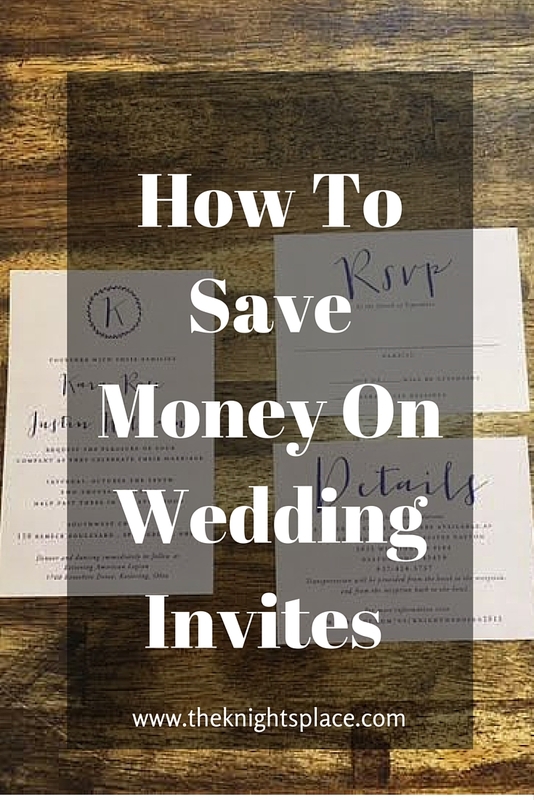 I am excited to link up with you all every week & see everyone’s wedding ideas! Make sure you leave your link below! Feel free to share the button with all your followers as well, so they know to come back every week and read more about your wedding. Here is also a chance to show off your wedding on Instagram use the #weddingtalktuesday so we can all mingle on Instagram. Can’t wait to see you all there! The day of your wedding goes by so fast! There are so many special moments about my wedding that I want to remember forever! 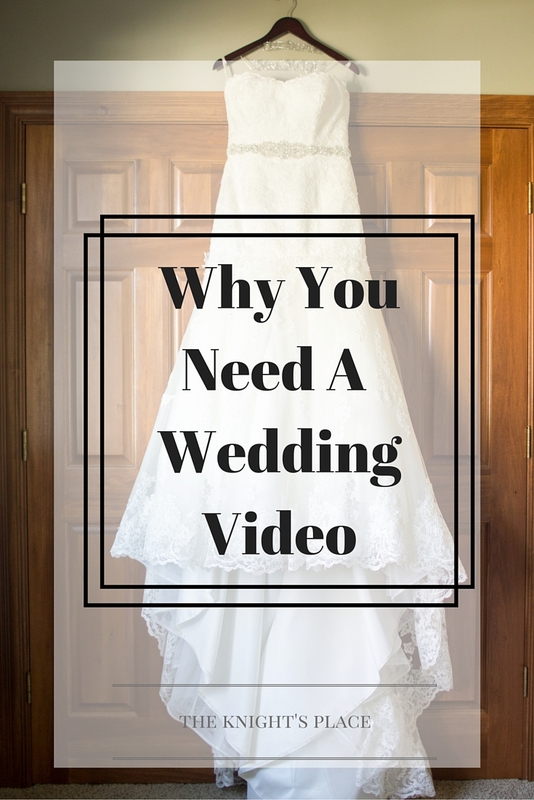 Pictures do a good job, but nothing compares to having a wedding video! I know when your planning a wedding, your thinking.. this much money for a video? Well, I almost made the mistake of not having a videographer! But, I am so lucky at the last minute that I decided to hire one! If you are new around here, or just forgot I got married on October 10th! It was the best day of my life. Don’t forget to check out the sneak peak of our wedding! During the entire wedding process, I was very price conscious about everything. We went with, the idea of not setting a budget.. Crazy Right? Well No- it was perfect for us! Our wedding invitations could not have been more perfect! 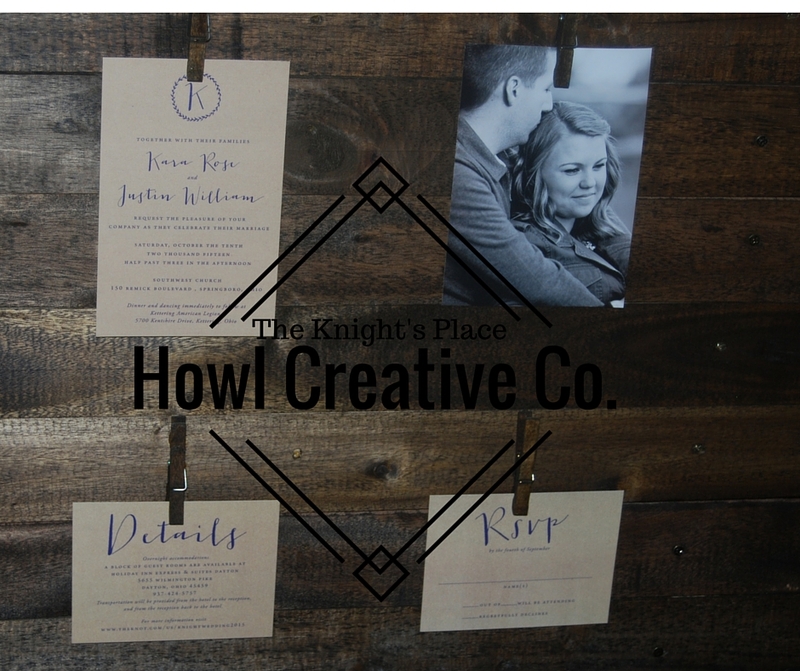 I was so lucky that I found Jessie, at Howl Creative Co. She made the entire process so easy on me! I knew I didn’t want to spend a lot of money on our wedding invitations, because they just get thrown away at the end of the day, but I knew I wanted them to go with the them of our wedding. They did exactly that! I received this product in return for my opinion. Once again all thoughts are my own. The process was so easy! I picked out the them that I wanted. Jessie, at Howl Creative Co. had so many different designs and they are all amazing, so it was a little tough to decide what I wanted! Once I picked out my design I was able to make some changes to make it personalized to me and my wedding! It only took one change, in wording & I knew that these were my invites! Once Jessie, at Howl Creative Co. sent me the PDF, I ordered the prints from Vistaprint and before I knew it my invites were out!